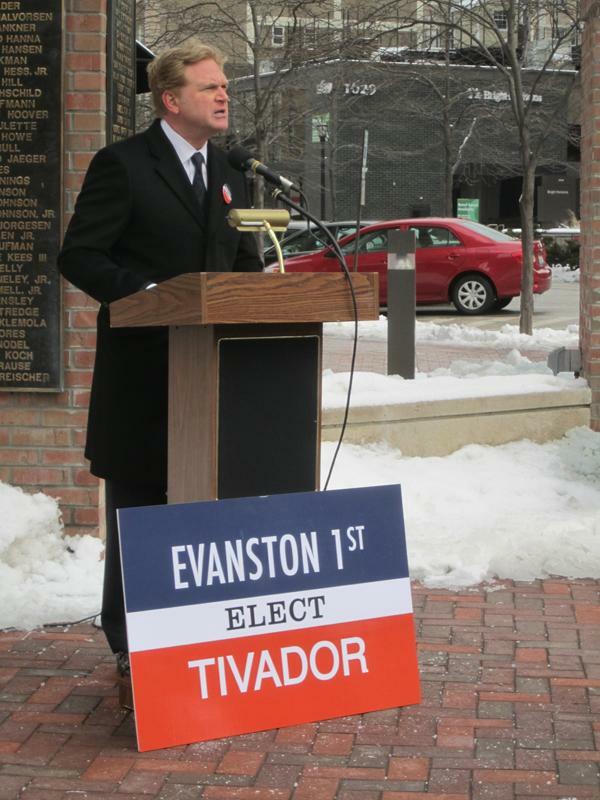 Edward Tivador, the lone resident challenging Ald. Judy Fiske (1st)’s re-election, speaks to residents about “good communication and skillful collaboration" during his February campaign launch. Tivador would later back up that catchphrase with plans on student safety and gun violence. Tivador, the lone challenger to Ald. Judy Fiske (1st)’s reelection, shared some of the leadership parallels between his role as superintendent of Northbrook/Glenview District 30 and his possible role as an alderman. Both positions require working with budgets, carefully listening and finding common ground when that may seem impossible, he said. However, Tivador emphasized leaders should accept and challenge ideas from different points of view. The Sherman Plaza condominium resident adopted this mindset Feb. 18 when sharing his 1st Ward platform, especially on off-campus lighting. Areas in the 1st Ward deemed underlit by the University were not included in a $36,000 city-University collaboration to install streetlights. Lights were added in the 5th Ward, where there is some off-campus housing, The Daily reported in May 2012. At that time, Fiske denied blocking any proposed lighting changes at an October 2010 meeting, contradicting what a University facilities official said. Though Tivador said lighting should be complementary to any historical housing surrounding NU, he said he would actively advocate for proper lighting and other measures to ensure students are safe. On safety in off-campus housing, Tivador said the city’s over-occupancy ordinance, as it is currently written, is neither sensible nor practical to enforce. Tivador dissected the so-called “brothel law” into its two parts: over-occupancy and whether or not occupants are related. Having students live together adds value in academics and safety, he said. Students will study together, he said, and travel together when heading out to parties. “As long as the dwelling is safe and fit for the number of people, the fact that they are not related should not be relevant,” Tivador said. To promote stronger dialogue from the student constituency within his ward, Tivador would hold forums on key issues such as lighting or housing to attract both interested students and neighbors. These events would draw not only those with a not-so-positive view of the University, but also the “silent majority” of residents who he said are enthusiastic and inviting toward Northwestern students. It is all about finding that common denominator, he said. Tivador would not talk about everything during the interview, though. A member of the city’s citizens’ police advisory committee, he would not comment on the 2012 case of racial profiling alleged by Medill Prof. Ava Thompson Greenwell. He was much more animated, however, on addressing students’ alcohol consumption. Still, he said there are people who will make mistakes. Instead of further drawing any lines of anger between students and residents, Tivador wants shared ownership of this potential safety issue. Tivador proposed a “safe haven” concept, where Wildcat decals placed on windows viewable to passers-by would alert students to residents who can assist them after a rough night of partying, Tivador said. “I want to be the neighborhood person that says … ‘Are you okay? What is your cell phone number? Can I call a friend?’,” he said. The 1st Ward challenger also wants shared ownership on another issue: street violence. Tivador’s multi-part plan includes volunteer groups identifying the city’s at-risk individuals and proper police training. Any of the remaining funds from last year’s gun buyback program should go toward those causes, he said. Tivador said he hopes Northwestern students extend their time in Evanston and stay in the city to raise their families. 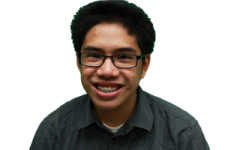 He also wants students to get out and vote, even if their ballots have votes for Fiske. However, under Fiske’s leadership, the 1st Ward has not been better off, he argued. In a subtle reference to his February campaign launch catchphrase of “good communication and skillful collaboration,” Tivador said there is still a lot to do in his ward. “I think that Northwestern students will see me as somebody that is a collaborator, as somebody that is willing to sit down and challenge their ideas as much as accept them,” he said.